This show was broadcast on June 25, 2015. 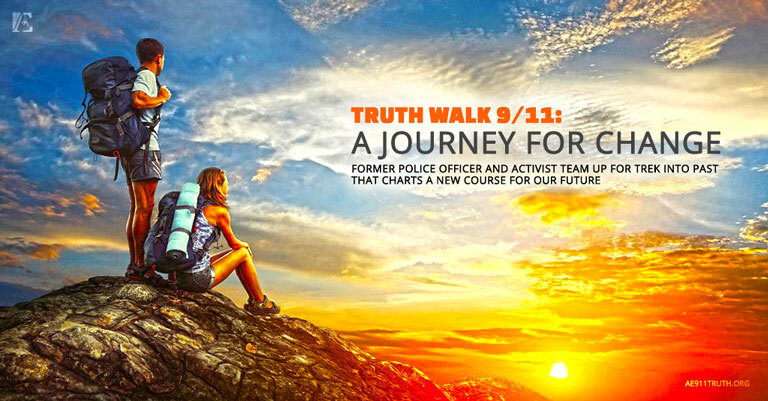 Activists and radio hosts Dave Meiswinkle and Pam Senzee join Andy Steele to discuss their latest endeavor for 9/11 Truth — Truth Walk 9/11– a 500 mile journey for truth and the U.S. Constitution, which will include an exciting film project. They also discuss the state of the nation in the post 9/11 world and the need to focus on solutions while carrying out the mission of waking up the public to the 9/11 evidence. This entry was posted on Wednesday, June 24th, 2015 at 11:27 pm	and is filed under 9/11, 911 Free Fall, Anti-War, Censorship-Propaganda, False Flag/Fake Terror, Freedom, Justice, News, Protest, War Crimes. You can follow any responses to this entry through the RSS 2.0 feed.